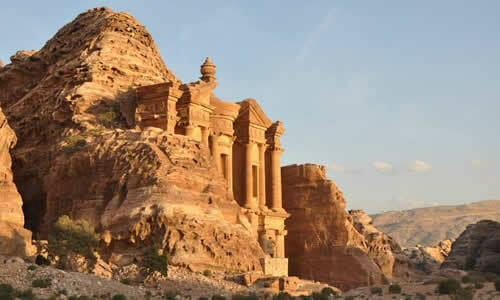 At Jordan Memory Tours, we believe that our culture is hallmarked by a rich history and joie de vivre, and is based on reverence for nature and an inherent understanding of how to make the best of the earth's assets. 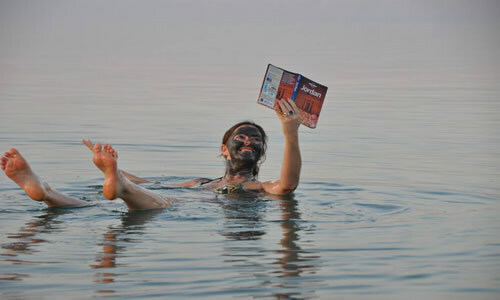 We are proud of our culture and we want our guest to have real contact with the essence of our land, with the core of our people: they will eat their food, understand their way of living and realize that the major aim of tourism is exchanges between the different cultures; it's the only way to peace. 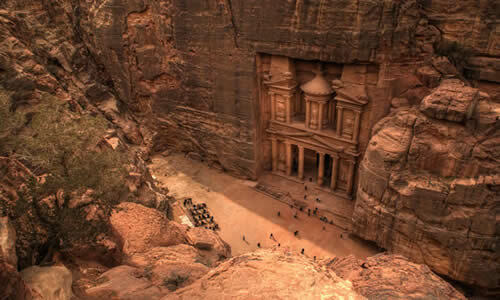 We have developed tours to Jordan to enable foreign visitors to enjoy what we experience on a daily basis. We are citizens on a mission to preserve our past, while we adapt to the needs of the 21st century society. By opening a window on the past, we are trying to create an oasis for your soul and if we can make you laugh, smile returning home with Jordan in your mind and stamped on your heart, then our goals will be accomplished! Let us create the Memory! Our close links with hotels and transport companies in the area allow us to meet the specific needs of corporate, holiday makers and tour operators alike. Our multi-language team of experienced staff and managers are capable of handling all conference and meeting requirements. English, German, French, Hungarian are spoken by our staff! We believe that, our guests visiting Jordan come first and it is our endeavor to grant them with the satisfaction they deserve. 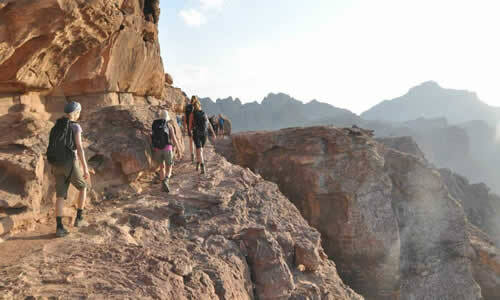 We offer various types of tours e.g. 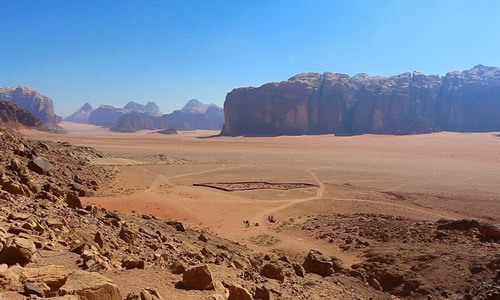 : climbing, hiking, camping, trekking, classical cultural tours, religious tours, everywhere in Jordan: Jeresh, Kerak, Wadi Mujib, Dana, Petra, Wadi Araba and Wadi Rum. 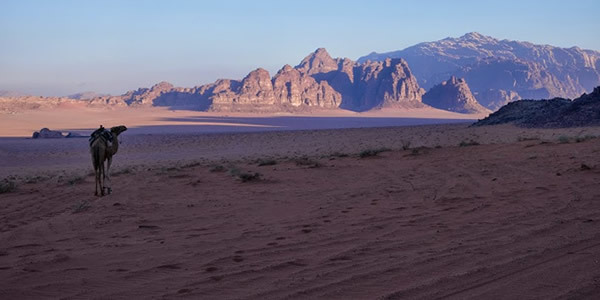 We provide horseback riding, camel riding, 4X4 jeep tours, ecological tours, exploring desert and mountains in the land of Lawrence of Arabia, as well as enjoying sumptuous banquets in both Medieval Crusader and Arab Castles. These are only part of what we offer! We are ready to fulfill any imaginations of our guests, with us nothing is impossible. Far away from your home we promise,that you will feel at home with us!